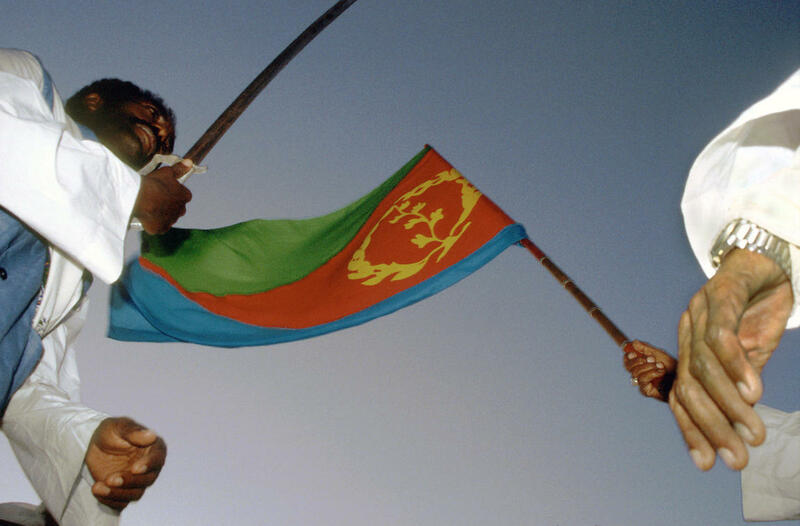 Sami Sallinen | Photo: Sami Sallinen.24 May 1998..The Eritrean flag and a sword are displayed by marchers during Eritrea's Independence Day celebrations. Eritrea won its 30 year war of liberation against Ethiopia on 24 May 1991 and formally became Africa's newest state on 24 May 1993. Photo: Sami Sallinen.24 May 1998..The Eritrean flag and a sword are displayed by marchers during Eritrea's Independence Day celebrations. Eritrea won its 30 year war of liberation against Ethiopia on 24 May 1991 and formally became Africa's newest state on 24 May 1993.